Waves of the Mind, Seattle’s dynamic Hip Hop trio makes ‘waves’ this coming Thursday, April 28 with the long-awaited debut of their self titled album. 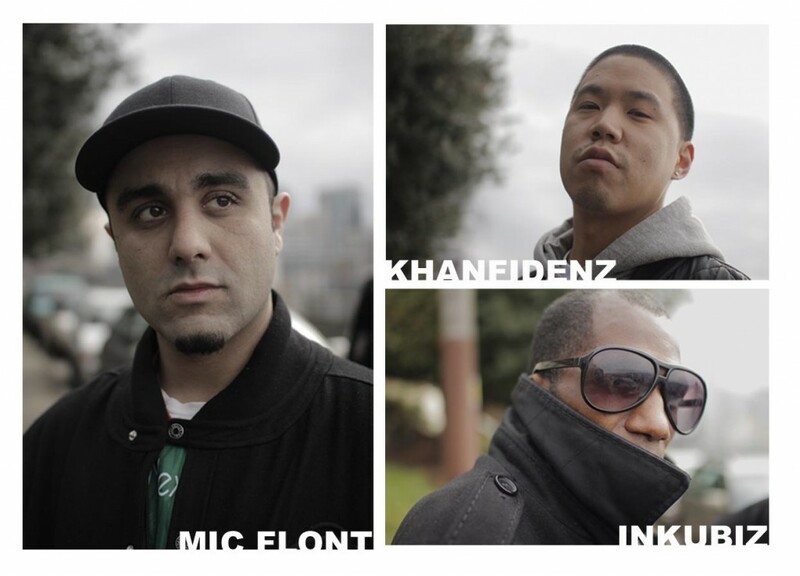 The group, consisting of Mic Flont, Inkubiz and Khanfidenz, have planted themselves into the Hip Hop underground throughout the past decade, and are gaining momentum outside their Pacific Northwest epicenter. Waves, known for delivering high energy performances, a synchronistic style, and hard hitting true school beats, have built up a flurry of anticipation. “Mind Waves” is the introductory anthem and ode to double time chopping, one of many sounds presented by the diverse group. Each emcee owns their individually distinct style yet are complimented in unison. The 14 track album is helmed with production by Phreewil, Dead Noise and Murder Dice and features Ayoka, Mind Movers (affiliates), and Jerm of Alpha P.